Helping young middle-skill workers build productive careers, economic resilience and financial freedom. 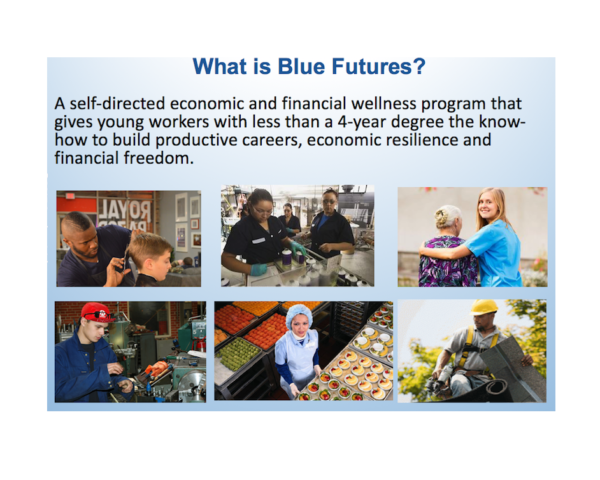 Blue Futures seeks to increase the economic and financial capabilities of young middle-skill adults that will allow them to be resilient to economic change, build financially and emotionally rewarding careers, and accumulate the financial resources they need to achieve their life goals. A self-directed economic and financial wellness program that gives young workers the know-how to build productive careers, economic resilience and financial freedom. Our mission is to help young middle-skill workers adopt practices early in adulthood that will allow them to build financially and emotionally rewarding careers, and give them the financial freedom to make choices consistent with their values and aspirations. 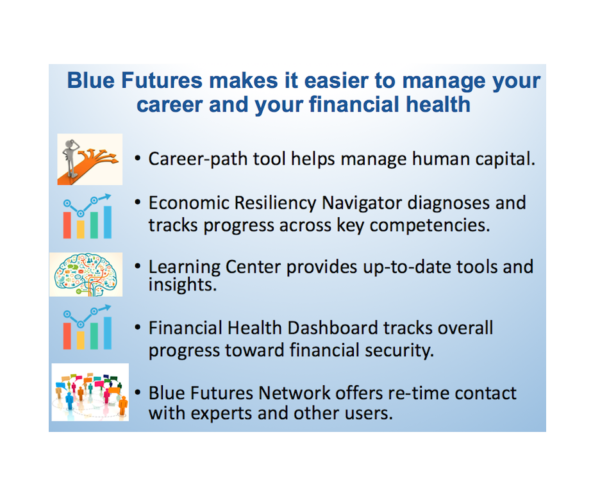 Blue Futures envisions a future in which people without a college degree build productive careers and develop the financial wherewithal to make life decisions that are consistent with their values. For more information CLICK HERE or contact Stephen Adams at stephenjadams@sjadams.net.